Aren’t educational uses exempt from copyright? Can I show a movie, read from a book, etc. in class? Can I make copies of a document (text, picture) to hand out in class? Can I use text or media in a multimedia project? Can I put a Web video, picture, or text document in my Blackboard site? This is undeniably complicated; it depends mostly on how the material is being used. Specifically, would students view or use the item while being taught in a face-to-face class, or would students use the item outside of the face-to-face classroom setting? What if I don’t know or can’t find the copyright holder? 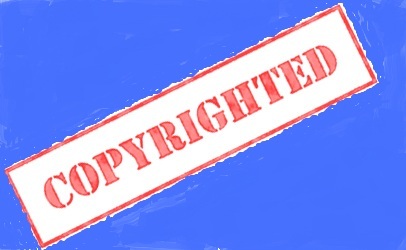 Can students use copyrighted material, like an image, in a slide show? Most examples of student use of copyrighted content in learning activities, including papers and presentations, are allowed under fair use. Can’t the Library provide copyrighted material for my students? The Library can house and distribute material for your course, but fair use limits still apply, including the one-semester limit. The Library also licenses, with copyright permission, large databases of educational videos. Finally, what if everything I want to use violates some copyright law? Use public domain content, especially which produced by the federal government or licensed under Creative Commons. The government produces a very large amount of content on virtually all topics. Use the College’s digital video databases. The College has databases with thousands of video clips on many subjects. These videos can be freely used in face-to-face and online teaching. Consult the Library on finding public domain content, using the digital video databases, and interpreting copyright laws and guidelines. Note: Documents in parentheses are taken from a larger collection of Copyright Resources on the College’s public website. Each provides additional information on the topic.